Most worrisome for the ruling Islamist/military alliance led by President Omar al-Bashir is the alleged coup attempt, which reflects growing divisions within the ruling National Congress Party (NCP). Rather than being the work of outsiders to the power structure, the attempted coup appears to have been the work of a combination of members of the powerful National Intelligence and Security Service (NISS), Islamist officers of the Sudan Armed Forces (SAF) and the Popular Defense Forces (PDF) and possibly a number of Islamist politicians and businessmen. With an ailing Bashir possibly ready to step down later this year after 24 years of rule, there is a growing tendency for political contenders to act peremptorily to secure their accession to power in a nation roiled by multiple rebellions and the economically devastating separation of South Sudan in 2011. National Congress Party officials disclosed that 13 individuals had been arrested in a November 21 NISS round-up on charges of planning the overthrow of the government, including some of the most powerful men in the country. Most of the detainees may be characterized as hardline Islamist military and intelligence officers who are said to oppose the “corruption and deviance from the Islamic path” of the current regime. The alleged plotters are charged with targeting “the stability of the state and some leaders of the state” (AFP, November 29). The suspects face repercussions ranging from a presidential pardon to death sentences, though the latter would certainly be seen as provocative by many within the Islamist power structure (al-Mashhad al-An [Khartoum], December 6, 2012). Former Presidential advisor and former NISS director Lieutenant General Salah Abdallah Abu Digin (a.k.a. Salah Gosh). Well known throughout Sudan, Salah Gosh was national intelligence director until he was sacked in 2009 following the failure of the Sudanese intelligence forces to discover and deter an attack by Darfur rebels on the national capital. He then served as a presidential advisor for security affairs for three years until losing that position in a 2011 power struggle with NCP vice-chairman Dr. Nafi Ali Nafi. Privately, Gosh’s family is reported to have claimed Nafi Ali Nafi is behind the charges against the former NISS director (Sudan Tribune, December 22, 2012). Following his surprise dismissal, Gosh went into business by opening a number of trading companies but was still reputed to be influential in regime circles. Gosh was taken to hospital with heart problems shortly after his arrest, where he underwent successful heart bypass surgery (AFP, November 29, 2012; al-Watan [Khartoum], December 2, 2012; Akhbar al-Yawm [Khartoum], December 6, 2012). Despite U.S. sanctions, Sudanese intelligence worked closely with its U.S. counterparts during Salah Gosh’s time as intelligence chief, with Gosh regarded as Sudan’s point man for contacts with the CIA. It was reported that Sudanese intelligence took a closer look into Gosh’s activities after noting he had gradually moved 25 members of his family to the United States earlier this year (al-Akhbar [Khartoum], November 24, 2012). Since his arrest, Gosh has had his immunity from prosecution revoked and his assets frozen by the Central Bank of Sudan. Brigadier General Muhammad Ibrahim Abd al-Jalil (a.k.a. Wad Ibrahim), a veteran of 12 years of fighting in the South Sudan and once considered the Amir of the “Mujahideen” movement in Sudan, dedicated to transforming the Sudanese civil war into a “jihad” against Christians and animists in the South. 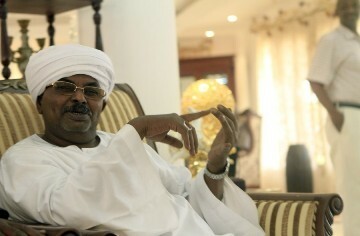 Known for his modest lifestyle and so far untainted by charges of corruption, Wad Ibrahim is reputed to be a popular figure in the Sudanese officer corps. He was in charge of the president’s security for seven years. NISS Major General Adel al-Tayib, a cousin of Wad Ibrahim (Sudan Tribune, November 22; al-Intibaha [Khartoum], November 29, 2012). Former commander of the Sudanese-Chadian Border Force Colonel Fath al-Rahim Abdallah Sulayman, who is alleged to be the go-between for Wad Ibrahim and Salah Gosh. Khalid Muhammad Mustafa, a former mujahideen commander operating in the Blue Nile region. Khalid is believed to be close to Wad Ibrahim. Businessman Mustafa Nur al-Dayim, who is alleged to have ties to Dr. Hassan al-Turabi’s Popular Congress Party (PCP) (al-Intibaha [Khartoum], November 29, 2012; December 6, 2012). Lieutenant Colonel Amin al-Zaki, a well-known Islamist and deputy director of the NISS in White Nile Province. Lieutenant Colonel Mustafa Mumtaz of the Signal Corps, based in White Nile province and thought to be an associate of Wad Ibrahim (al-Intibaha [Khartoum], November 29, 2012). Colonel Muhammad al-Zaki of the Armored Corps. Colonel Hassan Abd al-Rahim of the Armored Corps. Abd al-Rahim is alleged to have provided contacts between the plotters and the Darfur-based Justice and Equality Movement (JEM) (al-Intibaha [Khartoum], December 6, 2012). Dr. Ghazi Salah al-Din – Head of the NCP bloc in parliament and formerly a close advisor to the president, entrusted with important files such as the Darfur issue. Ghazi Salah al-Din is a leader of the reform movement within the NCP that has mobilized behind the issues of corruption and economic deterioration (al-Akhbar [Khartoum], November 24, 2012). Major General Musa al-Amin (al-Ahram al-Yawm [Khartoum], December 4, 2012). General Abd al-Mula Musa Muhammad Musa – The retired general and commissioner of the White Nile State was arrested on December 3 after his name emerged during interrogation of the other suspects (al-Ahram al-Yawm [Khartoum], December 4, 2012; Sudan Tribune, December 5, 2012). Dr. Hassan al-Turabi: The leader of the Islamist Popular Congress Party and former leader of the National Islamic Front (NIF). Though Turabi was not specifically named in connection to the coup, presidential advisor Nafi Ali Nafi’s reference to the plotters receiving assistance from “Islamists who have personal ambitions” was widely thought to be a reference to al-Turabi (Sudan Tribune, December 2, 2012). Dr. Hassan Abdallah al-Turabi was the first Secretary-General of the Islamic Movement, but underwent a split with the faction led by President Omar al-Bashir in 1998, leading to the formation of al-Turabi’s Islamist opposition party, the Popular Congress Party (PCP). Sadiq al-Mahdi, a former two-time Prime Minister of Sudan (1966-1967, 1986-1989) was overthrown by the military/Islamist alliance of Colonel Omar al-Bashir and Dr. Hassan al-Turabi in 1989. Sadiq is the great-grandson of Muhammad Ahmad al-Mahdi, the 19th century Sufi leader who overthrew Egyptian rule of the Sudan in 1885. Sadiq is the Imam of the Ansar Sufi movement and leader of its political wing, the Umma Party (a.k.a National Umma Party – NUP). After meeting with the Sudanese press during a visit to Cairo, al-Mahdi was initially quoted as saying Salah Gosh had met with him over dinner to ask the Umma Party leader to head the post-coup regime, though al-Mahdi later claimed he had been quoted out of context (al-Sudani [Khartoum], December 4, 2012; al-Qarar [Khartoum], December 5, 2012; Sudan Vision, December 31, 2012). Presidential Assistant Nafi Ali Nafi asked: “Is it logical that Sadiq al-Mahdi [would] disclose what went on between him and Gosh in the past without meaning it?” (Sudan Tribune, December 15, 2012). Al-Mahdi has also been described as having extensive contacts with the rebel Sudan Revolutionary Front (SRF) coalition by media sources unfriendly to the NUP. Presidential advisor Nafi Ali Nafi has said he is “confident that the Umma party knew the zero hour [of the coup attempt]” (Sudan Tribune, September 22, 2012). NUP leaders and members of al-Mahdi’s Ansar religious movement have warned against attempts to implicate al-Mahdi in the alleged coup (Sudan Tribune. December 3, 2012; Akhbar Alyoum [Khartoum], December 4, 2012). A recent sermon by the leader of the Ansar council decried the presence of foreign UN and AU troops in the country, the absence of democracy and the alleged usurpation of the nation’s resources by the ruling circle (al-Sudani [Khartoum], December 22, 2012). While the regime has attempted to implicate the opposition, the episode instead suggests the military/Islamist coalition that has ruled Sudan since 1989 is experiencing another split as the coalition’s strongman, Bashir, begins to show signs of physical weakness that could imperil his grip on the regime. Bashir has also suffered political blows in recent years by being indicted for war crimes by the International Criminal Court (ICC) and failing to triumph in the battle against Southern secession. Dr. Nafi Ali Nafi – NCP vice-chairman, former major-general and current presidential advisor. Nafi is one of the most powerful men in Khartoum and is regarded as being extremely close to the president. As a former Iranian-trained chief of military intelligence, Nafi was entrusted with overseeing controversial security operations in Darfur and South Kordofan that have been described by observers as crimes against humanity. Nafi emerged as the victor in a power struggle with Salah Gosh when the latter was dismissed as NISS director. Nafi is seen by some as al-Bashir’s bulwark against the ambitions of First Vice President Ali Uthman Muhammad Taha. Nafi and al-Bashir are both members of the riverine Ja’aliyin tribe. First Vice President Ali Uthman Muhammad Taha – A leading member of Sudan’s Muslim Brotherhood (Ikhwan) and a former Turabi loyalist who abandoned his mentor when the latter fell out with Bashir. Taha was rewarded with the vice-presidency and often acts as the public face of the government while building a powerful constituency as the deputy chairman of the NCP. Taha is a lawyer and judge by profession and a member of the Shaiqiya, one of the three riverine Arab tribes (Shaiqiya, Ja’aliyin and Danagla) that have monopolized power in Sudan since independence. Taha is deeply implicated in unleashing the Janjaweed forces of Musa Hilal in Darfur. A two-time Amir of the Sudan Islamic Movement (SIM), Taha is an NCP insider regarded as a frontrunner and will likely have the backing of the SIM’s new leadership in any run at the presidency. Speaker of the National Assembly Ahmad Ibrahim al-Tahir – A leading hardline member of the NCP who has described the late Osama bin Laden as “a holy warrior” and describes the separation of South Sudan as an “international conspiracy” (al-Ra’y al-Aam [Khartoum], June 26, 2011; Sudan Tribune, May 3, 2011). Lieutenant General Bakri Hassan Salih – Minister of Presidential Affairs and former Minister of Defense, General Bakri is deeply implicated in the abuses committed by pro-government militias and government security forces in Darfur. He has been close to al-Bashir ever since he played a crucial role in the 1989 coup that brought al-Bashir to power. The growing differences between factions of the ruling National Congress Party (NCP) began to erupt in January with the release of a memo calling for urgent reforms and an end to institutionalized corruption. The memo was signed by a thousand party members and associates (Sudan Tribune, January 11, 2012). Splits in Sudan’s Islamist movement between those favoring the political status quo and those seeking political reform emerged at the 8th General Conference of the Sudanese Islamic Movement (SIM) in November. With the resignation of Sudanese vice-president Ali Osman Muhammad Taha as SIM chairman, a struggle emerged for control of the movement. The conference quickly deteriorated into a confrontation between Bashir regime loyalists and those seeking substantial reforms within the failing Sudanese administration. Among those groups in the SIM calling for reform was al-Saihun (“the Travelers”), an NCP-associated faction based upon a core of veteran military officers and paramilitary jihadists embittered by the loss of South Sudan after a long and bloody civil war. 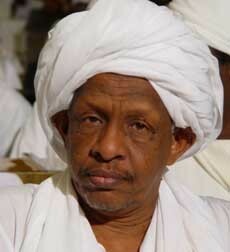 Some NCP loyalists maintain that al-Saihun is a front for members of the PCP (Alwan [Khartoum], November 29, 2012). Al- Saihun and PCP leader Hassan al-Turabi backed NCP parliamentary leader Ghazi Salah al-Din in an unsuccessful bid for the leadership of the SIM. However, NCP loyalists assumed control of the movement with the election of economist al-Zubayr Ahmad al-Hassan as the new secretary-general of the SIM after Ghazi withdrew from the contest. Ghazi was accused a short time later of being one of the alleged coup plotters. Under al-Zubayr’s leadership, many Islamists contend the SIM has now been reduced from an advisory body to the NCP to a movement whose views will be dictated by the regime. SIM reformers were ultimately unable to push through their demands that the movement be separated from the NCP. After the conference, al-Saihun issued a statement calling for the dismissal of Minister of Defense Abd al-Rahim Muhammad Hussein. The reformers cited the minister’s disputes with senior army officers (some ending in dismissals), failure to respond to alleged Israeli attacks on Sudan and an inability to provide Sudanese troops and paramilitaries with the means to end rebellions in Darfur, South Kordofan and Blue Nile Province. The statement followed an earlier appeal in January, 2012 by 700 officers of the Sudan Armed Forces calling for an end to corruption in the arms procurement process, citing as an example the purchase of over 100 defective Ukrainian tanks in 2010 (Sudan Tribune, January 20, 2012). The officers also called for a greater degree of separation between the NCP and the Army command structure. Speculation is rife in Khartoum over the motivation of the alleged putschists, with some suggesting the move was meant to preempt other attempts to seize power (a common justification for coup attempts in the Sudan). Speculation on the future of the regime has been fuelled by rumors that the president may be terminally ill. Al-Bashir has had two tumor-related surgeries on his throat in Qatar and Saudi Arabia since August, 2012 despite international sanctions against his travel connected to an ICC indictment for war crimes (BBC, November 30, 2012; Sudan Tribune, December 22, 2012). There is also the possibility that the alleged plotters represented an Islamist faction within the military that felt that Khartoum’s ongoing military campaigns against various rebel movements were suffering from government corruption and the policies of Defense Minister Abd al-Rahim Muhammad Hussein. Besides the seemingly intractable conflict in Darfur, fighting has again flared up along the border of the South Sudanese state of Northern Bahr al-Ghazal (Sudan Tribune, December 10, 2012). Khartoum maintains that Juba continues to command and control troops of the SPLA-Northern Command now fighting the NCP regime in Sudan’s Blue Nile and Southern Kordofan provinces. A Khartoum daily considered close to the Bashir regime provided details of the videotaped confessions presented by NISS director Muhammad Atta and Dr. Nafi Ali Nafi to a select group (al-Intibaha [Khartoum], December 6, 2012). According to the report, Wad Ibrahim and other coup plotters confessed to organizing the coup in cooperation with the Justice and Equality Movement (JEM), a Darfur-based rebel movement that came close to seizing the capital and deposing Bashir in 2008 and has remained a regime bogeyman ever since. JEM’s participation was made conditional on the deportation to Europe for trial of the “List of 51,” a UN-generated sealed list of 51 Sudanese citizens suspected of war crimes in Darfur that was handed to the ICC in 2005. By mutual consent the coup would take place while Bashir was out of the country for medical treatment in recognition of the popularity of the president in some quarters and the difficulty of ultimately deporting Bashir to face his own ICC indictment. The detainees described Wad Ibrahim rather than Salah Gosh as the intended leader of a 15-member post-coup command council. Salah Gosh’s confession was not shown, raising questions as to whether the former intelligence director has in fact made a confession. The videotaped confessions apparently included that of a “sorcerer” said to have been engaged by one of the generals involved in the plot to cast an immobilizing spell over certain regime figures. Pressed as to why he did not report the incident, the “sorcerer” claimed a dream revealed the coup would be unsuccessful, so he felt no further action was necessary. Having rounded up the coup suspects, the regime is now divided as to how to deal with them, a new dispute that is proving as divisive as any of the others facing the regime. The Director of the powerful National Intelligence and Security Services (NISS), Lieutenant General Muhammad Atta al-Mawla, described the plotters as “traitors” who had even drafted a proclamation announcing themselves as “counter-revolutionaries” who intended to supersede the “Salvation Revolution” of 1989. Al-Atta has pledged that the suspects will face justice without leniency (Sudan Tribune, December 5, 2012; Sudan Vision, December 7, 2012). Vice-President Taha says that the suspects will be prosecuted without special treatment: “We have no double standards… the way with us is working within the ranks, not treachery and treason and destabilizing the ranks” (Sudan Tribune, December 2, 2012). Presidential advisor Nafi Ali Nafi has been especially vocal in his demands that the suspects face trial, saying some of them had already been detained on similar charges in the past. This time, according to Nafi, there is ample evidence to mount a full prosecution (Sudan Tribune, December 22, 2012). A group of Khartoum lawyers led by government critic Nabil Adib has pledged to form a committee to defend the suspects while some NCP members have warned that action against the alleged plotters would be “costly” (Sudan Tribune, November 24, 2012; November 26, 2012). On the other hand, prosecuting the still influential suspects could tear the ruling NCP apart at a time it can ill afford disunity in the ranks. According to the Sudan Tribune, an al-Saihun Facebook page claimed NCP parliamentarians organized a candid meeting between al-Bashir and the leading detainees on December 19 that ended with “hugging and tears,” though this could not be verified (Sudan Tribune, December 22, 2012). Bashir has been placed in a difficult position as prosecutions would likely generate new attempts to depose him. It might well be to the ailing president’s benefit to offer a grand gesture of forgiveness, with the quiet promise that further such dissent in the NCP will not be endured with magnanimity. However, with the prospect that Bashir might be president for only a short time longer, other ranking figures in the regime such as Taha and Nafi may see a purge as a means of reshaping the NCP going into the post-Bashir era. Meanwhile, the streets of Khartoum have been the scene of massive and occasionally violent student demonstrations in recent weeks. The protesters, who call for the overthrow of the regime, initially flooded into the streets following the apparent murder of four students from Darfur by NCP members on December 7 (Sudan Tribune, December 10, 2012; Al-Sahafah [Khartoum], December 9, 2012). The net continues to be cast wider and wider in the aftermath of the initial interrogations with the arrests of dozens of Saihun members as well as two “Islamist” media members, one a cameraman for al-Jazeera, the other an employee of the al-Fida Media Center, which used to produce videos promoting the jihad in South Sudan (Sudan Tribune, December 5, 2012). The fallout from the alleged coup attempt has even reached various research centers, cultural centers and NGO’s active in Khartoum that are now alleged to be engaged in actions “prejudicial to national security” financed by foreign sources. Prominent among these are institutions receiving funds from the American National Endowment for Democracy, whose financing originates with the U.S. State Department The pro-government newspaper Akhir Lahzah reported in its Sunday’s edition that the authorities would launch a broad campaign against a number of “research centers, and those labeled cultural centers” (Akhir Lahzah [Khartoum], December 22, 2012; Sudan Tribune, December 29, 2012; Reuters, December 31, 2012). Dr. Nafi recently criticized American NGOs for their alleged contacts with rebel forces in Sudan, claiming that three American Jewish organizations had held meetings with the Sudan Revolutionary Front (SRF) to identify ways in which they could help the rebels overthrow the Khartoum government (Citizen [Khartoum], December 23, 2012). A statement from al-Mahdi’s religious followers, al-Ansar, saw a more nefarious intent behind the security crackdown: “We doubt there was a coup attempt to begin with, and we believe it was an attempt to liquidate rivals and a move aimed at pre-empting dissent from the disgruntled youth of the Islamist movement” (Sudan Tribune, December 4, 2012). The post-coup crackdown seems to have had little success in restraining the growing number of calls for political reform and changes to the leadership. Al-Turabi’s PCP called for the president to step down, citing the government’s claim that Sadiq al-Mahdi and the National Umma Party were behind the coup attempt as “the last card” of a desperate regime (The Citizen [Khartoum], December 4, 2012). Economic pressures in the wake of South Sudan’s separation are fueling growing discontent with the Khartoum government. Oil revenues have declined steeply, inflation is at over 40%, food supplies are soaring in price, professionals are fleeing the country and currency reserves are drying up. Khartoum continues to devote much of its spending to the repression of various uprisings in parts of the country. In the early hours of October 24, 2012, the Yarmuk small-arms factory in a southern suburb of Khartoum was attacked by Israeli fighter jets in what appeared to be a relatively risk-free practice run for an Israeli airstrike on Iranian targets. Israel has justified previous attacks on Eastern Sudan by claiming Iran ships arms through Sudan to Gaza, though even a basic knowledge of the distances involved, the exposed, waterless terrain and the fact that such overland shipments would require bypassing tight Egyptian border controls before crossing through several restricted military zones on the Egyptian Red Sea coast suggest that such claims have no basis in reality. There are now claims from Israel that the Yarmuk arms factory was controlled by Iranian Revolutionary Guards and was engaged in producing arms for Hamas that were then shipped by the improbable overland route through Egypt to Gaza. Though new Egyptian president has adopted a more supportive stance towards Gaza than his predecessor, the overland arms route is alleged to have existed through several years of the Mubarak regime, which had no interest in arming the Gaza militants. In the aftermath of the Yarmuk attack, the Sudanese Foreign Ministry said production at the factory had no connection to Iran, describing Israel as “an outlaw state… trying its best to pass fabricated information through different sources that have a link with Israel” (AFP, November 27, 2012; al-Arabiya/AFP, October 30, 2012). Opposition parties pointed out that the ease with which the Israelis were able to strike the capital confirmed Sudan’s military capacity was dedicated to the suppression of opposition movements rather than the defense of the nation (Sudan Tribune, October 30, 2012). In light of the Israeli accusations, a visit to Port Sudan on October 28 by Iran’s “22nd Fleet” generated further speculation over the nature of relations between Tehran and Khartoum. Consisting of the supply ship Kharg (with three antiquated Sea King helicopters) and the Admiral Naghdi corvette (launched in 1964), the 22nd Fleet docked in Port Sudan after carrying out anti-piracy operations in the Gulf of Aden and the Mandab Strait. After three days in port the Iranian ships left on October 31 (Suna Online [Khartoum], October 31, 2012; Mehr News Agency [Tehran], December 9). Though uneventful, the visit was heavily criticized in the Saudi Arabian media as a threat to regional security and a danger to Sudan’s relations with Gulf countries. The Iranian ambassador to Khartoum rejected assertions from Tel Aviv that the mission of the Iranian ships was to offload containers of weapons intended for Hamas, pointing out that the ships were open to the public on all three days of their visit to Port Sudan (al-Watan [Khartoum], November 1, 2012). Sudanese Foreign Minister Ali Karti, who has opposed greater cooperation with Iran on the grounds it would come at the expense of good relations with Arab Gulf countries, later revealed that his recommendation to reject a visit by Iranian ships in February, 2012 was accepted and acted on by the government, but the attack on the Yarmuk defense factory appeared to have produced a dramatic reversal in this policy (Sudan Tribune, November 27, 2012). A second Iranian visit to Port Sudan came from the 23rd Fleet on December 8, though Sudanese officials maintained the visit was pre-planned and routine. The detachment included the supply ship Bushehr and the guided missile frigate Jamaran, the domestically-built pride of the Iranian Navy (though described inaccurately by Iran as a destroyer). Sudanese naval commander Abdallah Matari took the occasion to urge expanded Iranian-Sudanese military cooperation (Fars News Agency [Tehran], December 8, 2012). The Sudanese Foreign Ministry insisted the visit was pre-planned and not intended as a reaction to the Israeli airstrike on Khartoum, though some Sudanese questioned the wisdom of allowing a second Iranian naval visit so shortly after the controversy generated by the first visit (Sudan Tribune, December 5, 2012; al-Ayam [Khartoum], December 10, 2012). Foreign Minister Ali Ahmad Karti confirmed divisions within the regime over Khartoum’s apparently growing relations with Iran when he revealed he had not been informed of the arrival of the two Iranian warships, saying he would have opposed the visit if he had been aware of it (al-Sudani [Khartoum], November 4, 2012; Sudan Tribune, November 4; The Citizen [Khartoum], November 5, 2012). Since 2008, the Iranian Navy has been expanding its presence in the region through anti-piracy operations in the Gulf of Aden, deployments to the Indian Ocean and the dispatch of two ships through the Suez Canal to the Mediterranean in February 2011. Taking his inspiration from remarks made by the Supreme Leader of Iran, Grand Ayatollah Ali Khamenei, the commander of the Iranian Navy, Rear-Admiral Habibollah Sayyari, has described the role of a “Strategic Navy” in securing Iranian waters, protecting Iranian shipping in international waters and projecting influence abroad (Vision of the Islamic Republic of Iran Network 1, November 29, 2012). Sayyari has emphasized Iran’s growing regional importance, noting that the Islamic Republic was now “a decision-maker in South Asia” that has reached a point where “no world power can ignore its influence in the region” (Fars News Agency [Tehran], December 12, 2012). Admiral Sayyari has elsewhere responded to alarmist news reports of the Iranian Navy’s activities by insisting that access to international waters belongs to all the people of the globe (IRNA, December 3, 2012). According to a major pan-Arab daily, Tehran offered Khartoum an alliance designed to “protect the Red Sea,” but Foreign Minister Ali Karti denied any knowledge of such a proposal (al-Hayat, November 2, 2012; Sudan Tribune, December 13, 2012). Karti is alleged to have opposed the alliance at a heated meeting of the NCP’s foreign relations committee. Nevertheless, in defending the two visits by Iranian warships as “routine,” Karti claimed that American warships had made a similar stop in Port Sudan in November (Sudan Tribune, December 5, 2012). However, the Foreign Minister’s claim was challenged by U.S. Navy spokesmen, who insisted they “didn’t have any record” of American ships visiting the Sudan in November (Sudan Tribune, December 6, 2012). A spokesman for the Darfur-based rebel Justice and Equality Movement (always eager to embarrass the regime) claimed that Khartoum and Sudan had discussed a deal to build an Iranian naval base, a base that some Israeli journalists fancifully maintain already exists in Sudan, allegedly employing hundreds of Iranian Revolutionary Guards offloading arms shipments for Hamas from Iranian cargo ships with to Iranian-run warehouses (Hurriyat [Khartoum], December 11, 2012; al-Rakoba [Khartoum], December 9, 2012, December 11, 2012; Yedi’ot Aharonot [Tel Aviv], October 25, 2012). The alleged Revolutionary Guards’ base in Port Sudan presumably cooperates with other phantom Iranian naval bases claimed to be in Eritrea. Following the allegations, Sudanese foreign ministry undersecretary Rahmatallah Uthman asserted that Khartoum has a policy of not allowing foreign military bases on its soil, adding that Iran was “no exception” (The Citizen [Khartoum], December 10, 2012). Israeli businessman are engaged in establishing an economic base in newly independent South Sudan, another point of contention with Khartoum, which has no desire to see Israeli influence grow in a neighboring nation, particularly one still as closely tied to (north) Sudan as South Sudan. Israel has a long but covert relationship with South Sudan, having begun providing military training to South Sudanese insurgents shortly after the nation gained independence in 1956. If the alleged coup is grounded in fact, it would not be the first attempt to overthrow al-Bashir in the 24 year history of his regime and possibly not the last. It is the first, however, to be mounted by figures so close to the president and until now considered to be among the pillars of the regime. Democracy has never quite taken hold in Sudanese society, which remains afflicted with a tendency for certain individuals to decide it is they alone who have the answer to Sudan’s complex problems. The nation is in dire need of financial assistance but recent efforts to obtain financial aid from Saudi Arabia and other Gulf states have been unsuccessful. Iran is also suffering financially from economic sanctions against it, but a demonstration by Khartoum that it is considering closer ties to the Islamic state (such as hosting Iranian warships) may be one way of putting pressure on the Sunni states of the Gulf to reconsider their position. Khartoum is also in need of military assistance, having blown its chance to make significant upgrades to its military by indulging in a corrupt procurement process. China once seemed a promising partner in this regard, but the separation of the South Sudan now means that Beijing must maintain cordial ties with both north and south Sudan to ensure the continued flow of oil from Chinese owned wells in the south to the export terminal in the north. The Iranian dalliance is a dangerous gambit, however, as it poses both internal and external risks that may be greater than the possible benefits from a closer alliance with the Islamic state. Andrew McGregor is the Director of Aberfoyle International Security, a Toronto-based agency specializing in security issues in the Islamic world. Let’s begin with the assumption that Israel can overcome the logistical and political hurdles involved in mounting an attack on Iran’s nuclear development facilities, either unilaterally or in cooperation with the United States. Unlike earlier strikes on Syrian and Iraqi nuclear facilities, Iran will certainly retaliate for any attack on its soil. Given that both Israel and the United States, individually or in combination, could easily subdue the armed forces available to the Islamic Republic, what forms could Iranian retaliation take? Rather than play the victim in its dispute with Israel, Iran has taken an aggressive tone in its response to threats of a military strike. 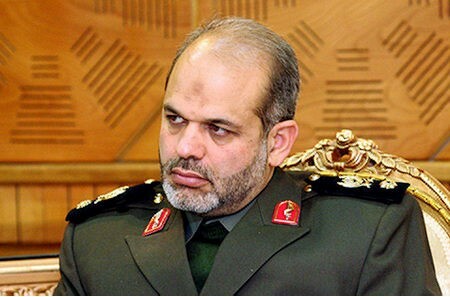 On September 19 Iranian Defense Minister Brigadier General Ahmad Vahidi suggested that Israel was trying to cover up domestic problems by pursuing the rhetoric of war, adding that Iran is “able to wipe the [Israeli] regime off the scene” with its defensive capabilities (IRNA September 19; Fars News Agency, September 20). Vahidi and other Iranian leaders have been taking advantage of the annual “Week of Sacred Defense” commemoration of the Islamic Republic’s war with Iraq in the 1980s to remind interested parties of Iran’s successful eight year defense against the U.S. supported Iraqi regime of Saddam Hussein (Trend.az, September 22). However, such rhetoric is common from Iranian sources; the question remains as to whether Iran can back up its threats of massive retaliation. With a direct land-based retaliatory attack on Israel rendered impossible by geography and military considerations, Iran’s best chance for a direct blow to Israel lies in the possibility of Iranian long-range ballistic missiles penetrating Israel’s Arrow anti-ballistic-missile system and the much-heralded Iron Dome missile defense system. While the latter system has proved effective, its main weakness is its expense and inability to bring down more than a percentage of a mass missile barrage. Bringing down a cheap homemade rocket from Gaza can cost far more than the potential damage the rocket could inflict. Potential opponents of Israel such as Hezbollah now possess enhanced missile capabilities that make strikes on Tel Aviv and other urban centers in Israel a genuine possibility. A barrage of cheaper or smaller rockets from several directions at once might sufficiently tax Israel’s air defense systems to allow an Iranian ballistic missile with a conventional or non-conventional warhead to penetrate Israeli defense systems. Besides the surface-to-surface Sejjil missiles and medium-range Shahab-3 ballistic missile with a range of up to 2,000 km, Iran has recently deployed upgraded versions of its twenty-year-old Zelzal rockets, which have a range of 300 km. To prepare for possible missile attacks on Israel a joint U.S.-Israeli missile defense exercise is expected to be held later this fall after the operation was delayed earlier this year (Financial Times, September 17). Militants based in Hamas-ruled Gaza, Israel’s weakest opponent, continue to fire missiles across the Israeli border despite scores of air raids, assassinations and even a 2009 deterrent raid that killed upwards of 1300 people. According to Commander of the Islamic Revolutionary Guard Corps (IRGC) Major-General Muhammad Ali Aziz Jaafari, the U.S. military presence in the region will actually work against them as it brings U.S. military targets within range of Iranian counter-strikes (Tehran Times, September 16). General Jaafari has revealed that Iran does not believe Israel will succeed in persuading the United States to join in an attack on Iran but will nevertheless hold the United States responsible for any strike on its nuclear or military facilities (al-Sharq al-Awsat, September 21). Jaafari also remains confident of Iran’s ability to carry out effective missile strikes on Israel: “I think nothing will remain of Israel (should it attack Iran). Given Israel’s small land area and its vulnerability to a massive volume of Iran’s missiles, I don’t think any spot in Israel will remain safe” (Fars News Agency, September 16). Iran’s ancient assembly of obsolete Soviet and American-built warplanes would be quick work for modern Israeli or American aircraft and would therefore be unlikely to be deployed in a conflict with these nations. However, if Israel were to conduct a unilateral attack, their aircraft would experience moments of vulnerability during the mid-air refueling required to get their aircraft to Iranian targets and back. Israel has conducted air exercises designed to counter such threats. After the recent “successful testing” of Iran’s Ra’d air defense system, IRGC Brigadier General Amir Ali Hajizadeh said the system “has been manufactured with the aim of confronting [hostile] U.S. aircraft and can hit targets at a distance of 50 kilometers and at an altitude of 75,000 feet (22,860 meters)” (Tehran Times, September 24). The Iranian-built Ra’d system has not been used in a combat situation and will be subject to countermeasures available to Israeli or American aircraft, but unlike Qaddafi, Iran’s military and political leaders are not likely to hesitate to give the order to fire on foreign aircraft in Iranian airspace. Attacks on Israeli facilities, institutions or individuals around the world by the IRGC, Iranian sympathizers or even other elements taking advantage of the situation to press their own political agendas would threaten to spread a potential conflict far beyond the Middle East. A covert war between Israel and Iran is already underway and can be easily intensified in the event of open conflict. This represents an open-ended threat that cannot be dealt with simply through the application of overwhelming air-power or incursions by land forces. In the event of an attack on Iran, Iranian sympathizers and government agents will agitate public opinion in Muslim capitals around the world, fueling international condemnation of Iran’s attackers through violent demonstrations and attacks on Israeli and American institutions. Should such attacks turn bloody through the efforts of security agencies to restore order these disturbances could take on a life of their own, creating security issues and diplomatic crises that would sap public will to pursue a war or create internal political dissent. Recent anti-American demonstrations in the Middle East have demonstrated that regional governments may lack the will or the ability to restrain an anti-Western backlash. Most of the Iranian naval response would be in the hands of the smaller missile-equipped boats of the highly-trained and motivated Islamic Revolutionary Guards Corps Navy (IRGCN) rather than the conventional and often outdated ships of the regular Iranian Navy. Iran’s oft-stated intention of closing the Strait of Hormuz to commercial traffic, primarily oil shipments, is no secret. According to General Jaafari: “If a war breaks out where one side is Iran and the other side is the West and the U.S., it’s natural that a problem should occur in the Strait of Hormuz. Export of energy will be harmed. It’s natural that this will happen” (Fars News Agency, September 16). Though it is frequently pointed out that Iran would itself suffer greatly by closing the Strait, it is likely that the Iranian command has recognized that in the event of a war Iranian oil could only be shipped with U.S. sufferance. With the United States unlikely to be so generous, the Iranian command may have come to the conclusion it has nothing to lose by closing the Strait, which would at least bring international pressure to bear on finding a quick resolution to the conflict. Domestic support for a U.S. role in the conflict could falter as rapidly rising petroleum prices drive a fragile economy into recession. Of course closing the Strait is not without risk and could incite the entry of the most affected countries (Kuwait, Iraq, Oman and Qatar) into a larger Sunni Arab – Shiite Iranian conflict. Speedboat attacks could cause a certain amount of mayhem in the narrow confines of the Straits, but are unlikely threaten U.S. naval ships in any significant way. Analogies to the 2000 USS Cole attack are meaningless; if the Cole had been on security alert or felt endangered by the skiff approaching its side the smaller craft would have been quickly blown out of the water. With air surveillance support, American warships have ample short-range defenses to deal with aggressive craft should they succeed in coming within attacking range. 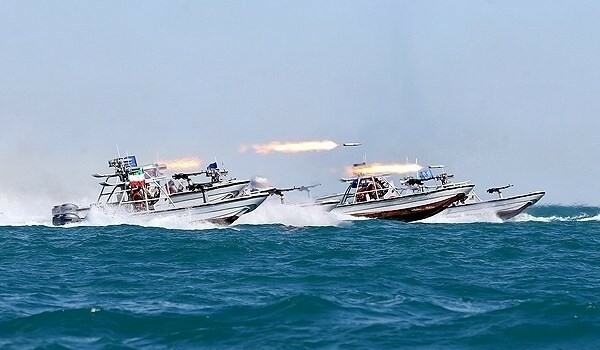 Rather than attack warships, Iran’s fleet of small missile boats would be better employed in attacking civilian shipping in the Gulf. Attacks on oil tankers in particular would cause economic havoc in the international markets. In the last few months the United States has doubled the number of minesweepers it maintains in the Gulf, sent a second aircraft carrier to the region two months ahead of schedule and deployed the USS Ponce, an amphibious transport dock that can be used as a staging base for Special Forces operations or as a carrier for MH-53 helicopters in a minesweeping role (Financial Times, September 17). A large-scale de-mining exercise, the September 16-27 International Mine Countermeasures Exercise (IMCMEX), involving ships from the United States, Britain, Japan, France, Jordan, Yemen and other nations was designed to test a variety of anti-mine techniques to address the Iranian threat to close the vital Strait of Hormuz with fixed or floating mines (Hurriyet, September 17). General Jaafari downplayed the significance of the exercise (at least in public), describing it as “defensive” in nature: “We don’t perceive any threats from it” (Reuters, September 17). Iran’s response will not be limited to military activities. An important part of its strategic planning is dedicated to Iran’s “Soft War” concept, which describes an alternative form of warfare that, in the hands of Iran’s enemies, is dedicated to eroding the legitimacy of the Islamic republic by changing the cultural and Islamic identity of Iranian society. To handle Iran’s response to such attacks, a special “Unit of the Soft War” (Setad-e Jang-e Narm) was created in 2011 as a branch of the Basiji militia. Iranian Soft War counter-measures include propaganda, education, media manipulation and the management of electronic information access (for a full description of the “Soft War” concept, see Terrorism Monitor, June 12, 2010). General Jaafari remarked in early September that soft warfare was more dangerous than conventional warfare and urged university and seminary students and faculty to prepare to deal with the soft warfare strategy employed by Iran’s enemies (Tehran Times, September 2). Social Networking may provide a unique and innovative way of organizing hundreds or even thousands of points of simultaneous resistance to an attack on Iran in a variety of forms ranging from public demonstrations to civil resistance to armed activities or terrorist attacks. The drawn-out nature of the dispute over Iran’s nuclear capabilities and intent has allowed Iran’s global intelligence network to prepare a broad “soft warfare” response to any attack. In the event of land-based incursions into Iran, the Deputy Commander of the Iranian Army, Brigadier General Abdolrahim Mousavi, has promised Iran’s borders will be defended by a combination of the regular Iranian Army, the IRGC and the Basiji Force (a lightly-armed but highly motivated militia) (Press TV, September 23). Iran enhanced its border defenses in March with the introduction of the Shaparak (Butterfly) unmanned aerial vehicle (UAV), though the drone has an operational radius of only 31 miles and a flight time of three and a half hours. 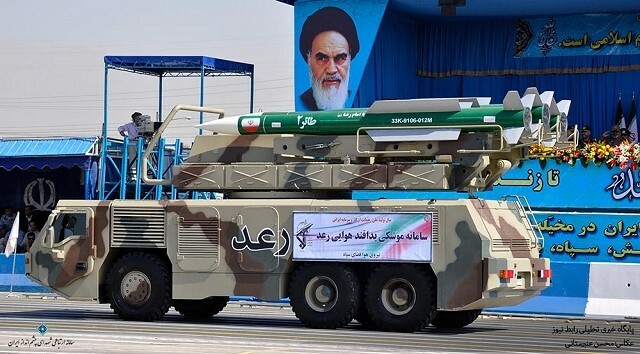 Since then Iran has added the Shaed-129, which can remain in the air for 24 hours and deliver strikes with its Sadid missiles (Fars News Agency, September 16). The most important drone in the Iranian arsenal is the Karrar (Striker), a turbojet-powered drone capable of long-range reconnaissance and attack missions with a flight range of 1,000 km at low or high altitudes. The four-meter long drone can be deployed on the back of a truck to a ground-launch position where it can be fired with the aid of a jet-fuelled take-off system (see Terrorism Monitor Brief, November 25, 2010; Ressalat [Tehran], August 23, 2010; Vatan-e Emrooz [Tehran], August 23, 2010). In observing the current North American coverage of the approaching crisis it is easy to assume that the whole world, or most of it, is resolutely opposed to Iran. This, however, is not the case, as shown by the 120 nations that attended the Non-Aligned Movement conference held in early September in Tehran despite calls from Western nations for a boycott. Iran is aware of the political value even a defeat could have for the Islamic Republic in the international arena. As suggested in a feature carried by Iran’s state-owned Press TV: “In the impossible event that all goes well for Israel on the battlefield, the suffering of the people of Iran would probably shame the world into turning against Zionism even more sharply than the world turned against apartheid in the 1980s” (Press TV, September 21). In the state of heightened tension and trepidation that would follow an Israeli attack, incidents that might otherwise be dealt with at an appropriate level could easily precipitate a chain of events leading to the entry of other nations or militant groups into a wider war. Following a series of international incidents, Turkey’s ruling AKP government has gone from shifted from being Israel’s military ally to an increasingly hostile neighbor. Ankara is seriously disturbed by Iran’s role in Syria and demonstrated its dissatisfaction by recently keeping Iran’s national security chief cooling his heels for half an hour prior to a meeting in the office of Turkish prime minister Recep Tayyip Erdogan. Nevertheless, in the unpredictable environment that would emerge from an Israeli attack on Iran it is entirely possible that some incident could drag Turkey into a larger war, whether as a result of a government decision, national security concerns or popular pressure. While Israel displays little respect for the militaries of Iran or the Arab world, Turkey’s powerful, well-trained, well-armed and battle-experienced armed forces are another matter. Certainly, as a NATO member, an entry into the conflict by Turkey could immeasurably complicate the entire situation. With a large Palestinian population and a growing Islamist movement, Jordan represents another Israeli neighbor that might find itself hard-pressed to resist popular pressure to retaliate in some form if Israel attacks Iran, possibly by annulling its peace treaty with Israel. Jordan is pursuing its own nuclear power program, which is much needed as a dependable replacement for unreliable natural gas supplies from Egypt and to fuel desalinization plants required to provide the arid nation with water. Jordan’s King Abdullah II recently complained that: “strong opposition to Jordan’s nuclear energy program is coming from Israel… When we started going down the road of nuclear energy for peaceful purposes, we approached some highly responsible countries to work with us. And pretty soon we realized that Israel was putting pressure on those countries to disrupt any cooperation with us” (AFP, September 12). So long as the volatility in Syria and the Sinai continues, there is ample opportunity for unintentional clashes or planned provocations to light the charge for a wider conflict. Under Egypt’s new Muslim Brotherhood government there is daily discussion of revising or even abandoning Egypt’s three-decade-old peace treaty with Israel. If Israel became entangled in battling Gaza militants or dealing with a new Palestinian intifada in the West Bank there would be enormous pressure both on the street and in the halls of government for Egypt to provide a military response. 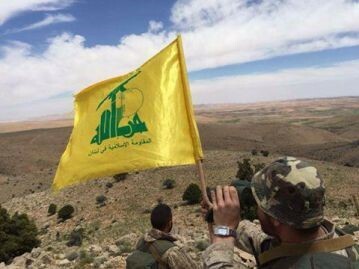 Hezbollah’s success in the 2006 summer war changed attitudes in the Middle East. The once-common perception of an invincible Israel with unlimited military and logistical support from the world’s largest superpower has not existed since Israel’s failed effort to destroy Hezbollah, which not only repulsed the Israeli Defense Force (IDF), but did so without even having to call up its reserves. While Israel has worked hard to revise its battlefield tactics and took advantage of its 2009 incursion into Gaza to field-test them in what amounted to a massive live-fire exercise considering the lack of resistance encountered, the IDF has lost much of its ability to intimidate the Arab opposition. The ascendance of the Muslim Brothers in Egypt has also been a game-changer; no longer can Israel expect the silence of a corrupt and self-indulgent regime fattening itself on American aid. Today there is a growing assumption in Egypt that billions of dollars in American military aid will not last much longer, paired with a recognition that Egypt must develop its own arms industry if it is to pursue an independent foreign policy. Disaffected Shiite populations in eastern Saudi Arabia and Bahrain, while not necessarily following directives from Tehran, could still take advantage of a collapsing security situation to press their demands for economic and political reforms. Such instability in Bahrain would not prevent operations by the U.S. Sixth Fleet based there, but would prove politically embarrassing at an extremely sensitive time. If violence can sweep the Muslim world because of the actions of Florida Quran burners and Californian immigrant film-makers, imagine the violence that would follow a carefully manufactured false-flag operation or other provocation designed to draw various countries or populations into a new Middle East conflict. Despite the Middle East’s vast energy resources, reserves are declining in some areas and have nearly expired in others. Some major nations, like Egypt and Iraq, are largely or partially reliant on hydro-electric power that is threatened by huge new dams being built further upstream in Ethiopia and Turkey respectively. With even oil-rich Saudi Arabia intent on expanding its nuclear power capabilities before the oil runs out, it is clear that the future of the Middle East is nuclear. In these circumstances it would be impossible for Israel to continue a policy of pre-emptive strikes on potentially hostile neighbors to prevent the possibility of nuclear weapons development. Without the emergence of alternative energy supplies, even the deterrent effect of a successful Israeli strike on Iran will be short-lived in the region. Iran has consistently exaggerated its military capability and the effectiveness of its weapons, so much of its rhetoric concerning its ability to retaliate to an Israeli or American attack must be taken with a grain of salt. In addition, much of the conventional response outlined above is subject to the operational survival of Iranian weapons systems to a unilateral or joint Israeli/U.S. strike, which would target Iranian missile silos and electrical systems nation-wide. Cyber-attacks could also be expected to destroy Iran’s ability to respond with sophisticated hardware or weapons. With these considerations it becomes clear that Iran’s most effective response will lie in the areas of asymmetric warfare and economic disruption. In the complicated world of the Middle East, Iran could still organize a broad retaliatory response that would effectively prevent an Iranian military defeat from translating into an Israeli victory. This article first appeared in the September 27, 2012 issue of the Jamestown Foundation’s Terrorism Monitor. The AQAP naib suggested that Americans and Zionists were combatting Sunni Islam in Pakistan, Yemen and Afghanistan, while Iran was pursuing an aggressive policy in those areas inhabited by their fellow Shiites. Al-Shihri pointed to a recent clash in the largely Shiite city of Qatif as an example of the failure of the Saudis and the “royal scholars” to reveal the nature of the threat posed to Sunni Islam by the “Iranian-armed Rafidites” of Saudi Arabia. “Rafidites” or “Rawafidh” (rejectionists, i.e. of Islam) is a pejorative term used by Salafists or other anti-Shi’a Sunnis. In the past, al-Shihri has indicated he believes the Zaydi Shiites of Yemen are Iranian-controlled “Rafidites” even though their form of Islam is closer to the Shafi’i Sunnism practiced elsewhere in Yemen than to the dominant form of “Twelver” Shi’ism practiced in Iran, Iraq, Bahrain, Southern Lebanon, eastern Saudi Arabia and elsewhere in the Middle East (Sada al-Malahim, Issue 12, February 2010; Aljazeeratalk.net, February 18, 2010). Al-Shihri cites a takfiri fatwa from the late Saudi Shaykh Abdallah ibn Jibrin that declared the Kingdom’s Shi’a population had been exposed to the truth of Sunni Islam but had rejected it, thus making them heretics subject to the penalty of death. Ibn Jibrin also declared it was inappropriate to pray for the success of Lebanon’s Hezbollah in its struggle with Israel. (IHT August 3, 2006; see also ibn-jebreen.com). Typical of such Salafist exhortations is al-Shihri’s emphasis on the principle of al-wala’ wa’l-bara, or “loyalty (towards the believers) and disavowal (of the disbelievers).” In this case Muslims are obliged to combat the Saudis as they “have left Islam,” according to the naib. The city of Qatif and surrounding governorate of Qatif referred to by al-Shihri is almost exclusively Shiite and has been the site of numerous disturbances in the last year involving clashes between protesters angered by the Saudi government’s allegedly anti-Shi’a policies and the inequitable distribution of oil wealth in the Qatif region, which lacks schools and health facilities. Saudi Ministry of the Interior spokesman Major General Mansour al-Turki says there can be no comparison made between the “legitimate self-defense” practiced by Saudi security forces under attack from protesters and the political violence taking place in neighboring nations (Saudi Gazette, February 20; Arab News, February 20). Shaykh Sayyid Nasrallah, the Hezbollah leader, recently offered his support to the Shiite protesters in the Eastern Province, noting the inequitable distribution of energy revenues: “Protesters there are not calling for toppling the regime, they are rather demanding some reforms, rights and developments in one of the poorest areas in Saudi Arabia, knowing that it is one of the richest areas in oil.” In response, the protesters are met only with “bullets and tanks” (al-Manar TV, February 24; AP, February 25). A prominent Shiite cleric in Qatif, Shaykh Ghazi al-Shabib, has called for legislation against those who willfully spread sedition by promoting sectarianism and takfir in the Kingdom (Rasid.com, March 12). Similar calls were made last October by Shaykh Faisal al-Awami, who suggested the root of sectarianism was the “misinterpretation of religion and misuse of the manuscripts” in some religious communities (Rasid.com, October 22, 2011). Yemen’s President Abd Rabbu Mansur al-Hadi has sworn to restructure the army and intensify the fight against al-Qaeda in the midst of allegations that General Ali Muhsin and members of the ex-president’s family are supplying weapons and munitions to AQAP and related Islamist militias (al-Mu’tamar [Sana’a], March 13; al-Mithaq.net [Sana’a], March 12; Jordan Times, March 14).